Chaos Lords are cunning, brutal and truly fearsome warriors, capable of commanding legions of bloodthirsty Chaos Space Marines. Blessed by the Chaos Gods themselves they often possess enhanced strength, durability and intelligence, beyond that of even the heightened senses of the Adeptus Astartes. 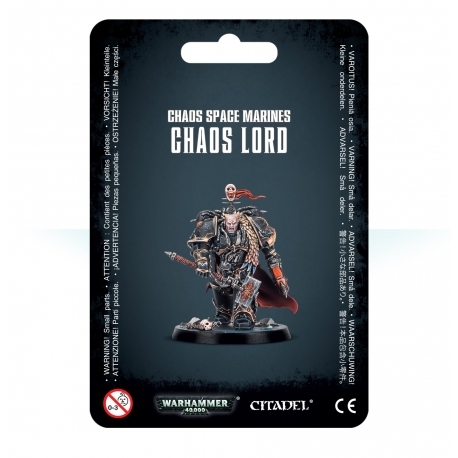 Chaos Lords are known to develop mutations bestowed upon them by their favoured Chaos God. Should you face one of these deadly combatants be prepared for the fight of your life! This item was Previously available in the Warhammer Quest: Blackstone Fortress set.